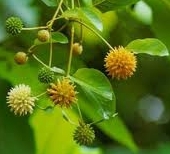 Kratom is the name of a medicinal leaf from a tree in the Rubiaceae family native to Southeast Asia. The locals have been know to use this plant for its medicinal quality. Native people often chew the kratom leafs to help them work harder and longer. Kratom is often thought of as the “workers drug” because users enjoy working while chewing kratom leaves. Mitragynine is the main alkaloid found in the kratom leaf. This alkaloid is responsible for kratoms desirable effects. There’s a complex series of 14-24 alkaloids, identified in the kratom leaf, and can be extracted through water and an alcohol extraction combined. Kratom trees, usually grow to a height of 12-30 feet tall and the leafs can grow 7 inches long and 4 inches wide. The flowers on this tree are one of the wired est things Ive seen. They look like little yellow spike balls. At this time kratom is a controlled substance in Thailand, Malaysia, Myanmar, Bhutan, New Zealand, Australia, Finland, Denmark, Poland, Latvia, Lithuania and Sweden. Several states in the United States consider kratom illegal, and they include: Wisconsin, Indiana, Arkansas, Alabama, Vermont and Rhode Island. Several cities have also enacted bans on kratom including: Washington, D.C.; Sarasota, FL. ; Denver, CO.; Alton and Jerseyville, IL. ; and Union City and Columbus, MS. The state and city wide legislation of kratom is constantly changing, so it is important for the consumer to check on all legality issues before purchasing kratom and products that contain kratom. Click here for a legality map and more detailed information. Much of the legislation on kratom is also complicated by the exact wording of the bills themselves. Some are only written to ban Mitragynine and 7-hydroxymitragynine, the two main alkaloids in kratom, and this causes legal confusion over wether whole leaf ground kratom should be considered illegal or not. Many see bans such as those as only pertaining to the isolated alkaloids and not the raw plant form. The Thai government passed the Kratom Act 2486 which went into effect on August 3, 1943. This law makes planting the tree illegal and requires existing trees to be cut down. This law has not stopped kratom use completely and is hard to enforce since kratom grows wild all over Thialand. On December 28, 2018 the Thailand National Legislative Assembly (NLA) passed amendments to a bill permitting the production, import, export and use of both kratom and cannabis for medicinal purposes. Many aspects of the new legislation are still to be decided. Thailand is the first country in the south pacific region to propose legalizing medicinal cannabis. Before using kratom its advisable to read as much information about this plant as possible. There are different forms as well as different ways to ingest your kratom. The main forms of kratom are crushed leaf, powdered kratom leafs, kratom extracts, and kratom resin. These different forms have different levels of alkaloids, so it is very important for the user to inform themselves on the differences. Crushed leaf kratom is the least processed form of kratom. It is simply processed by drying kratom leaves and processing them minimally in a way that some of the leaf structure remains. Much the same way that most teas are processed. Powdered kratom is possibly the most common form you will find. This form is created by finely grinding the dried leaves. Some stores sell powdered kratom is in capsules form. Kratom extracts and resins are created by taking the dried leaves and processing them with chemicals, alcohol or water. You may find many different types of extracts made with any of these processing chemicals, but the process and outcome is almost always the same. The goal of the extraction method is to preserve as much of the desired alkaloids as possible while eliminating as much of the fibrous plant material as possible. When extracting from a plant like kratom, which has many alkaloids, it is inevitable that there will be some loss of desired alkaloids. Again, there are many kratom extracts and resins on the market and it is important for the consumer to pay attention to the process used and determine wether they wish to use such products. There are several different “strains” of kratom all varying in strength and effects. The different types of kratom are bali, Thai, Borneo, Maeng Da Kratom, Indo, and more. Bali and Borneo tend to be the cheapest and I take it these strains are less potent. Thai kratom and maeng da kratom are reasonably priced and have more potency. I personally have bought alot of Thai kratom its not to expensive and has nice effects. Kratom strains are often split into three different categories based on the color of the stem and veins in their leaves. The three colors are red, green and white, and they signify different alkaloid levels in the three different colors. Although many of the stem and vein color types may be similar, they may also very due to the area where they are grown, as described in the paragraph above. Yellow vein kratom is fairly new and a bit mysterious on how it is actually created. Many producers are not keen on revealing their secrets on how they produce yellow vein kratom. Some speculate that yellow vein kratom leaves are picked later than the others, which causes the yellow color. Others state that yellow vein kratom is only a mix of other strains. And, some claim that yellow vein goes through a fermentation process after the leaves are picked. Like many factors in the kratom world, we may never know the 100% truth behind yellow vein strains.